Sooooo let’s just quickly address the elephant in the room and say that this was supposed to be a beta review before the release of the game (which was a few days ago FYI) but I may have left it slightly late to start reviewing – I’m still getting used to the reviewing process, and deadlines, and so I apologise, and will be more organised with my next one. So now that that is out of the way, let’s get into straight it! Having never played any Agatha Christie games before, and not knowing anything about them (other than that they were murder mystery games based on the books), I really had no idea what to expect. For this reason, I thought that I would be a good person to review it as I could give the perspective of someone who does not know the back story, and therefore could judge whether or not it was an easy game for new players to get into. I had hoped that it would be a game where I actually had to solve things, rather than just having the answers fed to me like other similar games that I’ve played (although, admittedly, they were mobile/Facebook games – I have no shame in admitting that some of these are fun… okay, there’s a little shame there…), and sure enough it was what I had hoped for – in fact, more than I had hoped for – but we will go into detail about that later. My first thought upon loading the game was “oh, is this a children’s game?” as I was not expecting cartoony/2D graphics, but, as previously learned from Minecraft, basic graphics do not ultimately mean a terrible game. I was soon to discover that, by the difficulty of the puzzles, it was most definitely not a children’s game – unless, of course, I am less intelligent than a child… which we can’t completely rule out. You are introduced as Hercule Poirot – a French detective with an accent that has you thanking the gods that subtitles are a thing. You are introduced to your fellow detectives, and shown a letter which states that a murder will take place on a specific date. The murder does, indeed, happen, and so it is time to put all of those episodes of Law & Order (SVU or gtfo) that you binge-watch into practice and find the killer – who continues to taunt you with letters and murders throughout the game. You travel (very slowly) between four different locations – the three crime scenes, and your home/headquarters – and when I say “very slowly”, I do, indeed, mean very slowly. Imagine a sloth in a suit and a hat (terrifying) – that’s pretty much how your character gets around. I did discover that you can walk slightly faster (so, tortoise speed instead of sloth speed) by double clicking your destination but, along with the inability to skip a lot of the dialogue that I had read faster than they were speaking, it had me raging at my screen and not wanting to continue. So I went to bed and tried again the next day, which I am glad that I did, because once you put those small things aside it’s a pretty great game. You encounter a bunch of people to question and observe along the way, and details of each person are automatically recorded in your notebook for you to come back to later. In each different town there are a series of puzzles to solve inside people’s houses, such as codes to crack, secret compartments to open, and objects to piece together. I found it useful to keep a notepad next to me to write down any codes or symbols that I came across, as things like that aren’t automatically recorded – which I think is fantastic because it requires you to actually think about what you are doing and what you have seen, and decide whether or not things are relevant enough to write down (pro tip: write down everything!). I’ve never played a game that allows you the freedom to make those decisions for yourself, but always wanted to. 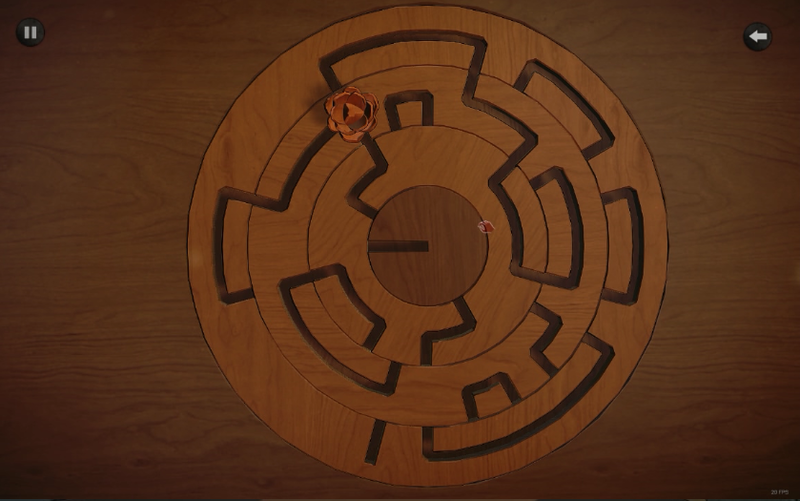 The puzzles vary in difficulty with some being as simple as entering the code that is right in front of you, to ones that will have you wanting to punch through your screen – particularly when you finally figure it out and realise how stupid you are for not seeing it sooner. With different choices throughout the game to slightly alter the storyline, you will finish with one of multiple endings, depending on what you chose. This encourages you to play through again to see what you missed, and how different choices play out. You earn achievements throughout the game, so you can go back and try to get them all for that 100% score if you aren’t ready to stop playing just yet. The game is played entirely by mouse, so would make a good laptop/tablet /mobile game, or just something to play when you want to game but can’t be bothered to sit up properly with both hands on the keyboard and mouse (it’s not just me who feels this way sometimes, right?! ), or if you’re looking for a short game – I completed it in under 10 hours according to Steam. 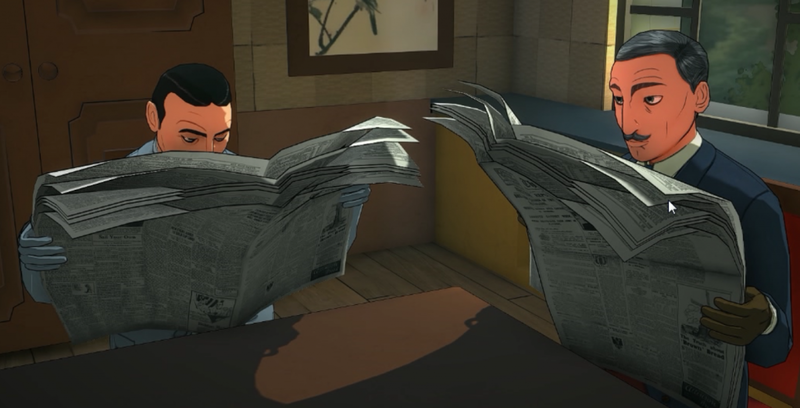 Though I initially had my doubts, the game turned out to be rather enjoyable, and though I would probably wait until it was on sale rather than spending the full US$40 on it, I think that I will go back and try some other games in the series also – after all, I’m, like, totally a professional detective now, so I may as well so and put my skills to use again!